Laura has been with Dr. Drakos since 2011 and serves as his practice manager and surgical coordinator. She has worked at the Hospital for Special Surgery since 1997. She has over 25 years of experience in the field of orthopedics and healthcare administration. Laura is professional, knowledgeable and will gladly assist you with many aspects of scheduling your surgery. 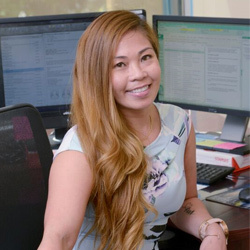 She strongly believes in the values and level of care expected of HSS employees and will do her best to ensure that you are comfortable and informed during your treatment with us. 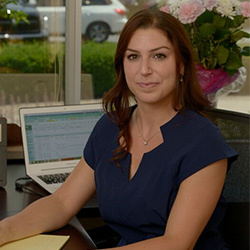 Nicole Paparella is a certified physician assistant specializing in orthopedic surgery. Nicole has worked at the Hospital for Special Surgery since December 2013. She received her Bachelor’s degree from Stony Brook University where she graduated with honors in Biology. 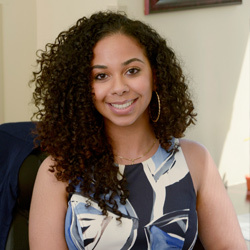 During her time at Stony Brook, Nicole was an active member of the Phi Beta Kappa Honor Society, Golden Key Honor Society, Pre-Med Society and National Society of Collegiate Scholars as well as a teaching assistant for organic chemistry. In her free time Nicole volunteered for a program known as Play Fit Stay Fit. This program was created for young children suffering from cancer to help keep them physically active. Nicole is also an athlete having been a 5 year varsity starter and 2 year captain of her high school softball team. 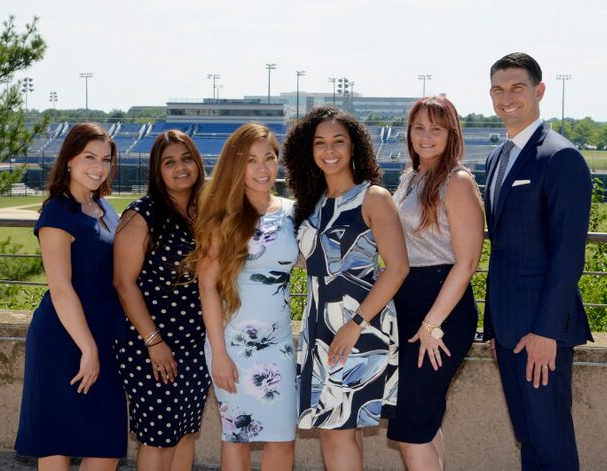 After graduating from Stony Brook University, Nicole attended Touro College where she completed her master’s degree in physician assistant studies. Her prior athletic career and her passion for medicine have given Nicole a deep understanding of the importance of returning patients to the activities they love. Nicole assists Dr. Drakos in surgery as well as in the office. Nicole is very personable, knowledgeable and she is available to answer any questions patients may have. Victoria has worked at Hospital for Special Surgery since 2010. She started out part time while in high school and is now a full time employee. She joined our practice as a medical secretary in 2012 and is currently enrolled in college to further her education in medicine. She has over 5 years of experience in healthcare administration. She is well rounded, knowledgeable and pleasant to work with. You will likely be speaking with her when you call the office and she can answer many of the questions and concerns that you may have. Sharon has been an LPN since 2013. She started her career at HSS working in private ambulatory and transitioned to Dr. Drakos’ office as his nurse. 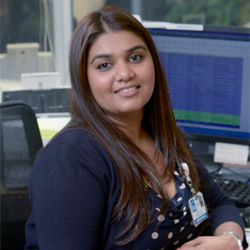 Sharon loves working in the healthcare industry and is currently working on pursuing her R.N. degree. Her kindness and warmth is evident through the work that she does. She listens attentively to our patients and displays exceptional skills in assessing individual patient needs. Sharon will be more than happy to assist you with any question or concern that you may have. Leannie has been in the healthcare administration since 2004. She has been employed with HSS since July, 2012 where she was a part of the radiology staff as a medical secretary. Leannie has a very warm and compassionate personality. She is always ready to go an extra step to ensure quality service and that needs are met.